From small fishing villages to resort towns, the Pacific Coast of Ecuador is home to some of the most beautiful beaches in South America. 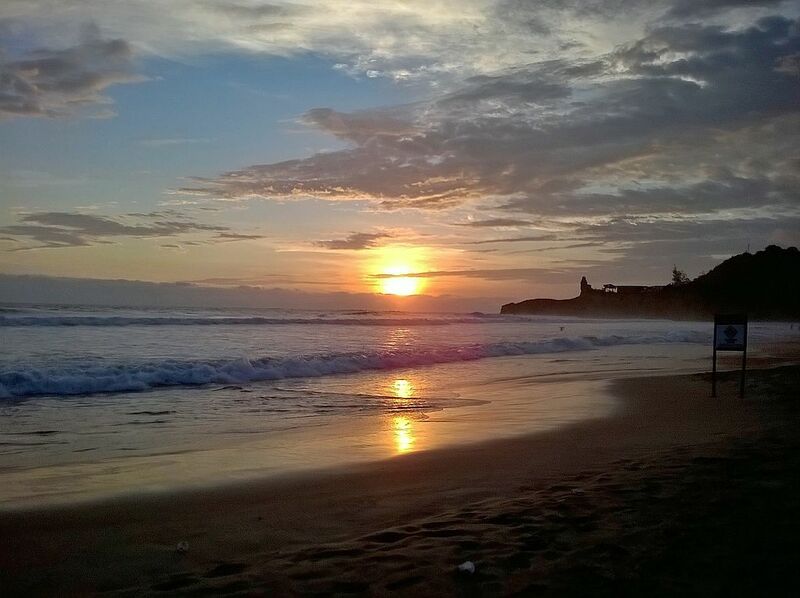 During the high season, especially during the coastal school break in January and February, these beaches are packed with vacationing Ecuadorians. This list of must-visit beach destinations starts north in the Esmeraldas Province, and leads south along the Ruta Spondylus to the famous resort town of Salinas. The beaches of the Esmeraldas Province in Ecuador are among the most visited along the entire coast, partly for their beauty and partly because they lie only a few hours away from the capital city, Quito. This beach is a little quieter than others in Atacames, yet still provides basic amenities, like sunshades, deck chairs, and nearby restrooms in restaurants and hotels. If you prefer loud music and an active nightlife, consider staying in Atacames proper and visit Tonsupa during the day. 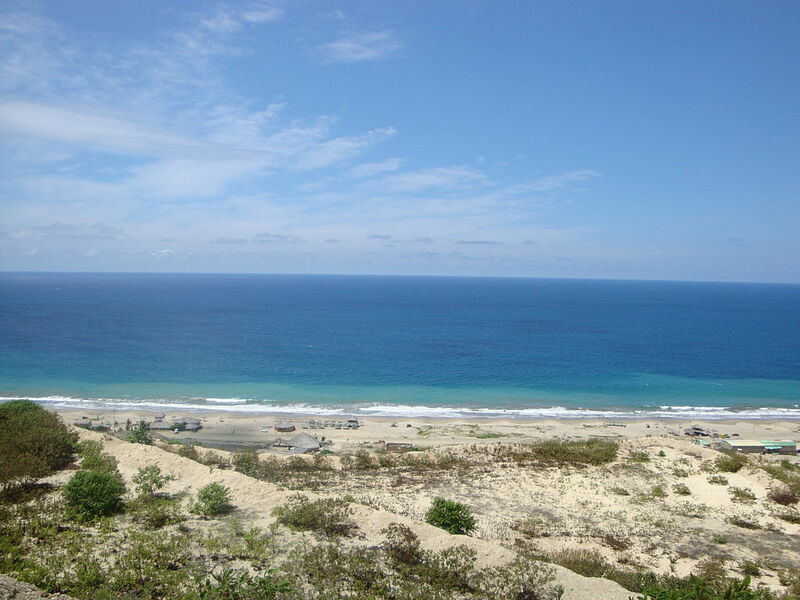 But for its wide beaches, delicious cool water, and golden sand, Tonsupa makes an excellent choice for beachgoers. Mompiche is a fishing village located south of the city of Esmeraldas. With its dark sand and wide beach, Mompiche is a favorite for beachgoers wanting a more natural setting. And with more than four miles (7km) of beaches, it is easy to escape the crowds just by walking further up the coast. Canoa has become a haven for expats and international tourists looking for great surfing and yoga retreats on the Pacific Coast. Beachcombers will love walking the long strand. Despite heavy damage from the April 2016 earthquake, Canoa welcomes tourists to enjoy the small, off-the-beaten-path feel of this small community and fishing village. 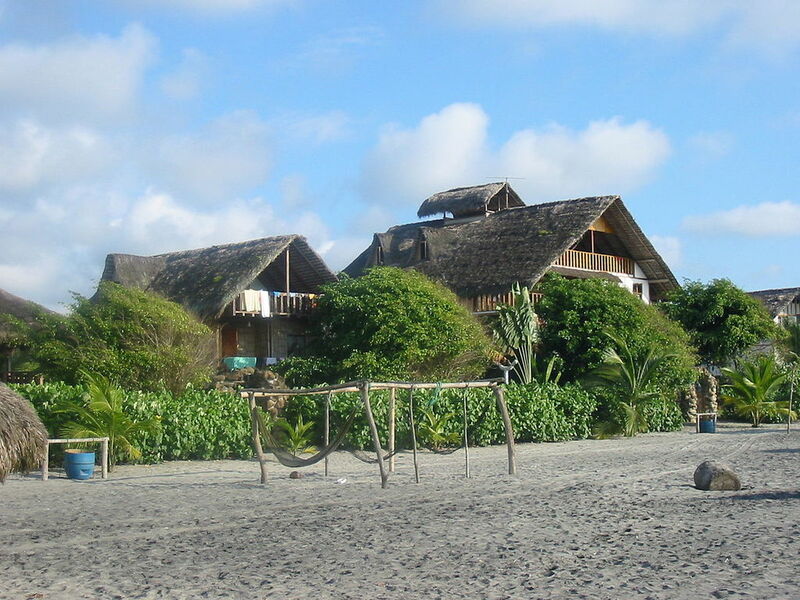 The best beaches in Bahía de Caráquez can be found on the Pacific Coast side of town, rather than along the bay itself. Long, sandy beaches without names run for miles between the town and the fishing village of San Jacinto. The occasional rocky shale outcropping provides habitat for strange-looking starfish and other sea creatures, making for excellent tide-pooling at low tide. 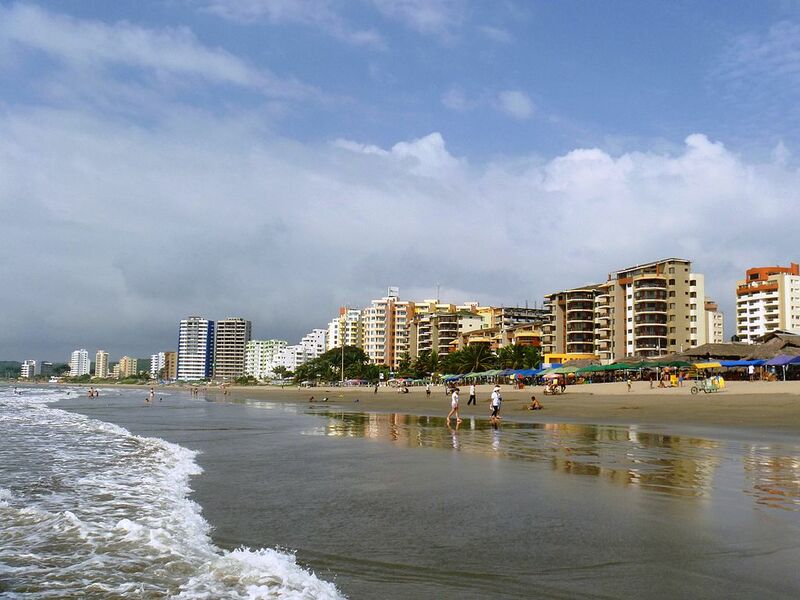 Crucita, Ecuador is a popular destination for retired expats looking for affordable living in a beautiful coastal setting. While still called a fishing village, Crucita has a population of more than 14,000 people and has become a tourist center offering adventure sports like paragliding and surfing. With miles of creamy white sandy beaches, this is a beloved destination for Ecuadorians and international tourists alike. The beach of Santa Marianita lies a little south of the port city of Manta. Because of seasonally high winds, it is the best place to practice kite surfing along the entire Ecuadorian coast. A small commerical hub of grassy huts provides a home to a few restaurants selling coastal dishes, and vendors selling swimsuits, cover-ups, and sunglasses. With more than five miles (8km) of coastline, it is possible to escape the hum of tourism and hike out to more private sunbathing spots. 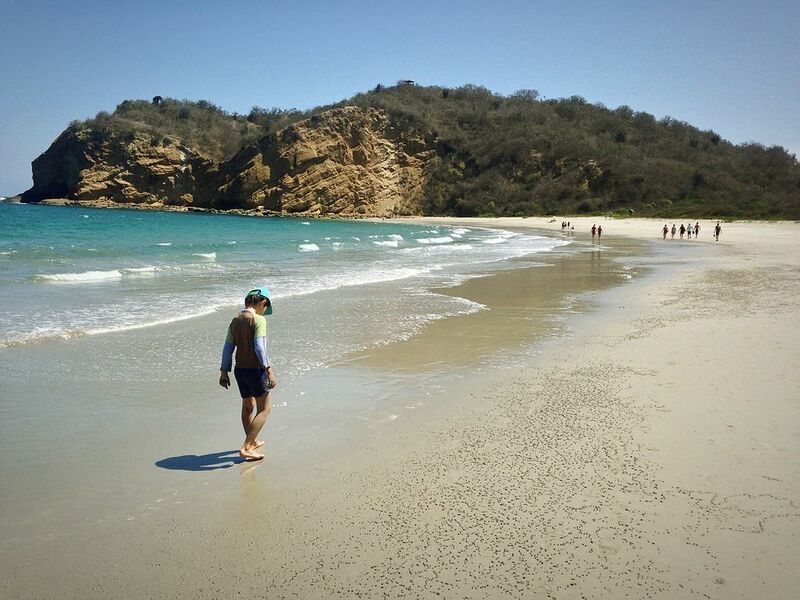 This famous beach, with its deep blue water, golden sandstone cliffs, and fine-grained sand, is part of the Machalilla National Park system. Rangers prevent entry of everything from surfboards to bags of potato chips in an attempt to protect the pristine beach. Rules are less strict midweek and off-holiday season. Montañita is famous for surfing and nightlife. 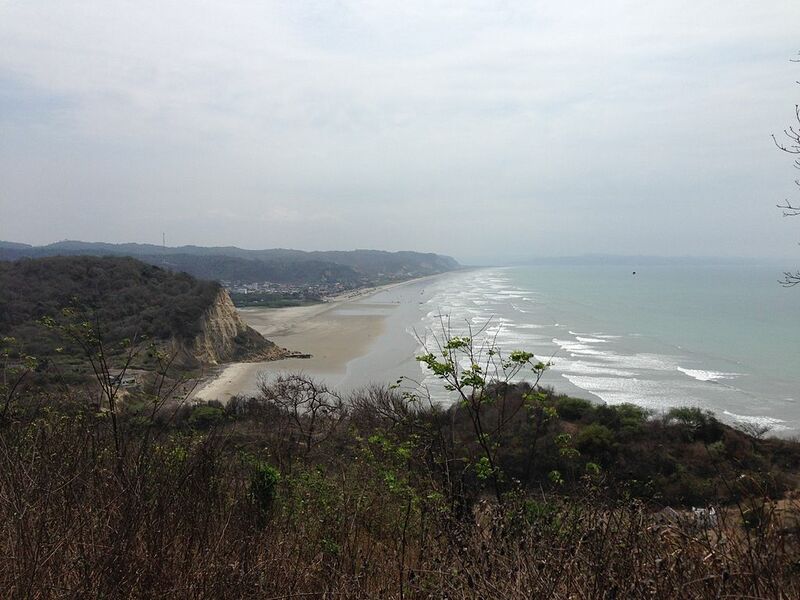 The beach itself is one of the prettiest along the Ecuadorian coast but is often packed with people. Early mornings are the most private time, but by afternoon the constant beat of music from the oceanfront bars takes over. If you would rather skip the trendy restaurants in town, ceviche wagons and empanada vendors offer their wares while you relax in beach chairs protected by umbrellas. 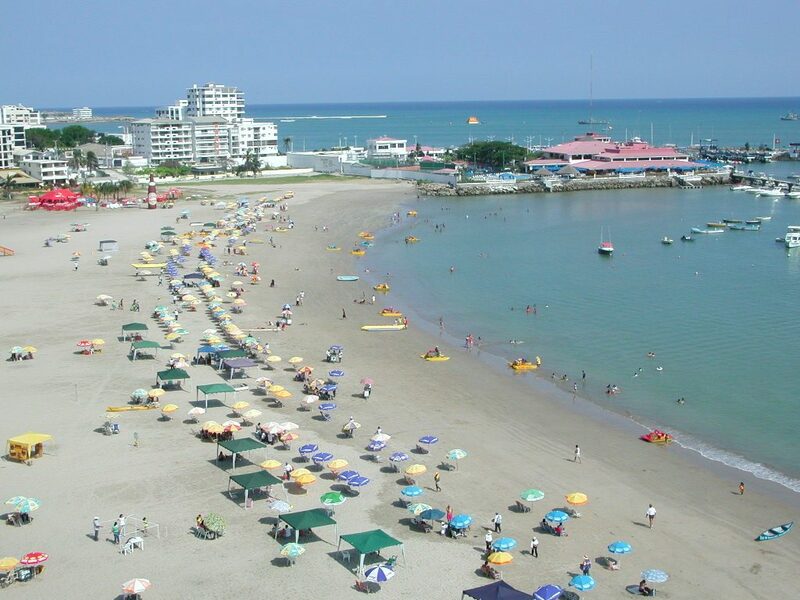 The most well-known beach in the resort town of Salinas is San Lorenzo. Located near the yacht club, this long strand is almost always occupied by sunbathers. The water is calm, protected by the pier, making this the perfect beach for families with small children. San Lorenzo lies in the middle of town, close to excellent restaurants, bars, and coffee shops.